Several years ago I scored this awesome huge basket at Target in the clearance section after Christmas. I have hoarded it and saved it trying to figure out exactly what to do with it. Obviously I could put a big ol’ plant in it, but that seemed to boring and obvious. During a cleaning spree, the basket got turned upside down and a pile of stuff ended up on top of it. LIGHTBULB MOMENT! A table! Dur. But what a waste of all that storage space inside. So I flipped it right-side-up again and purchased a round piece of glass intended for candles. You can find them at Hobby Lobby for around $14. It fit perfectly and a new side table was born, complete with tons of storage space hidden inside. I love taking objects or ideas and using them in an unconventional way. 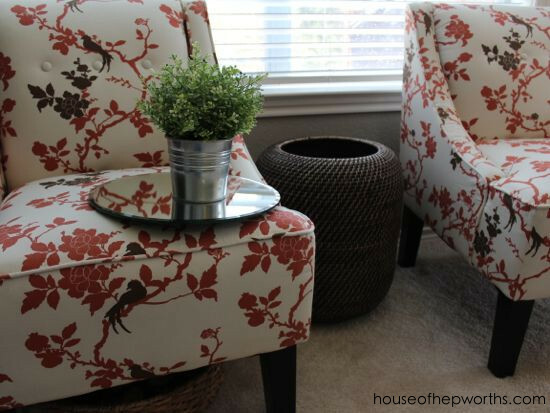 The basket table is the perfect finishing touch on this little seating area in my old family room. Clever clever!! 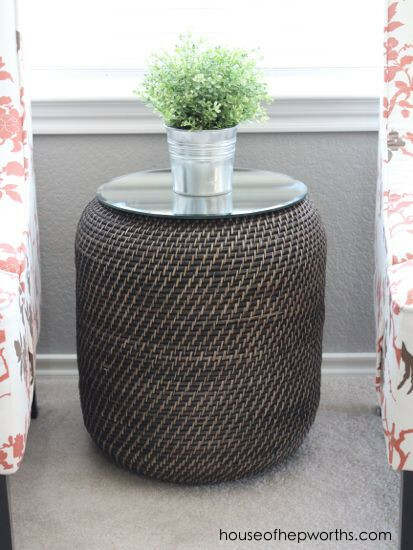 I did something similar for an outdoor side table. Looks awesome. 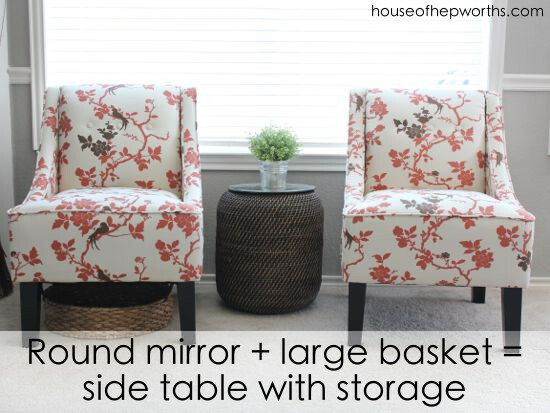 Love that the table doubles as storage. Love the modern look with the mirror but also the natural look of the basket. Oh, and I love those chairs. I saw one for sale at a yard sale and wanted it but didn’t have a place to put it so I had to pass. What a great idea! And it looks so cute! Where did you get the chairs? Is the pattern red? Haha, I like your use of that basket! Very clever. I’m also a big fan of things that can double as storage. 😉 I need all the storage I can get. Dur??? 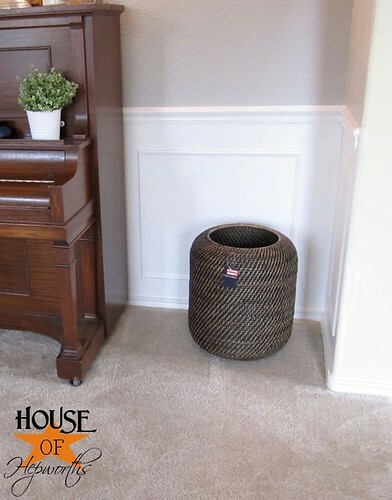 lol Great space for extra blankets or toys. Great idea! Thanks for sharing. Pretty AND functional! I love it.